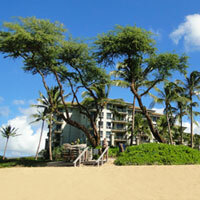 Driving a Maui Rental Car? Travel Time Estimates to Help You Plan Your Trip! 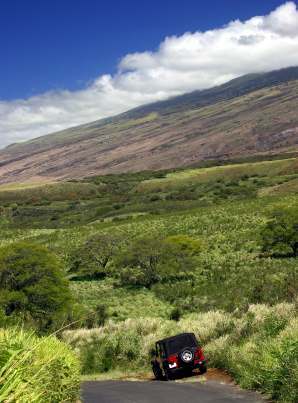 Driving a Rental Car in Maui? Travel Time Estimates to Plan Your Trip! So - you have your Maui rental car booked, but for vacation planning purposes, you still need to know how long it will take you to drive from one place to another. Can you drive from Lahaina to the summit of Mount Haleakala AND drive the Road to Hana all in one day? Can you fit in a drive to Iao Valley State park in the afternoon and still make it back to your resort in time for that luau you booked? The travel time estimates here will make it fast and easy for you to get answers to those questions and more! All estimates are for one-way travel only, so please don't forget to add time for the return trip! Remember that driving times will vary depending on the time of day, but my listings below should give you a decent idea of what to expect. If you are going to have to be somewhere at a precise time (ex. your snorkel tour departs from Maalaea harbour at precisely 6 am), then please confirm driving time estimates at your resort once you arrive in Maui - who knows? There might be road repairs being completed along your route that will slow you down - the most precise driving time estimates of all will be those that you get upon your arrival. 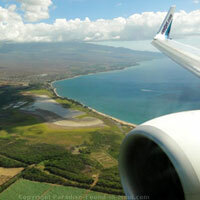 Most people arriving on the island start off at Maui's airport in Kahului. Of course, the first thing you'll need to know is how long it will take to drive from the airport to your condo or resort. So, without further ado, here are the answers to all that and more! For more info on getting around, go to What You Need to Know to Make Driving Around Maui Stress-Free! For more info on getting around, go to What You Need to Know to Make Getting Around Maui Stress-Free! For more info on getting around Maui, go to What You Need to Know to Make Driving Around Maui Stress-Free! 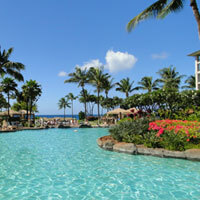 For more info on getting around Maui, go to What You Need to Know to Make Getting Around Stress-Free! Well, that's it! I hope you found this info helpful. Happy motoring around Maui in your rental car!